Choose from millions of available spaces, or reserve your space in advance. Join over 2.5 million drivers enjoying easy parking. Choose from millions of spaces. Trusted by 2.5 million drivers. Rated 5 stars with an average satisfaction rating of 96%, JustPark is the UK’s favourite parking service. But don’t just take our word for it – check out some of the latest customer reviews for our London parking spaces at the bottom of this page. Make easy tax free money by renting out your parking space. It‘s free to list and only takes a few minutes to get up and running. 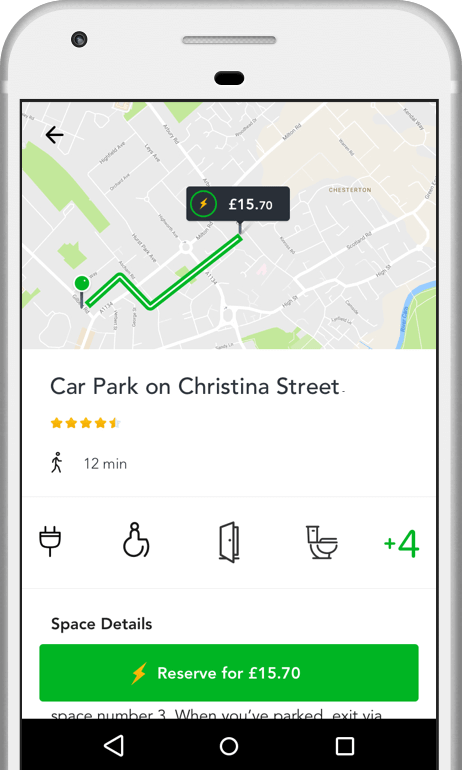 Maximise yield from underused car parks and vacant land, or transform payments with the UK’s favourite parking app.